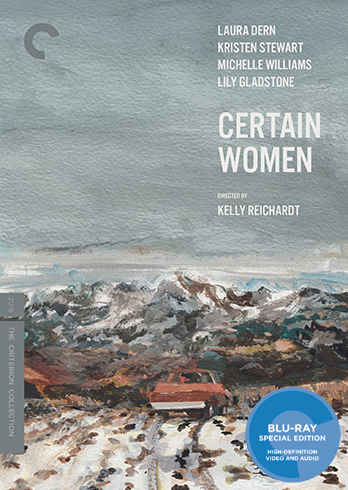 Before introducing any of the “Certain Women” in her film, director Kelly Reichardt begins with a long shot of a distant train rumbling along a track through a wide-open expanse of Montana countryside. As in the majority of her films, Reichardt foregrounds the landscapes her characters navigate – mountains and hills loom at the edge of the frame, even intruding as reflections in a car window during a tense, quiet conversation between driver and passenger. These exquisite shots by Reichardt and cinematographer Christopher Blauvelt don't necessarily evoke a specific mood, but rather integrate the often-isolated protagonists with their environment, suggesting that a person's story cannot be related or understood without knowing about the spaces they inhabit. In “Certain Women,” the limitless horizons of big sky country provide more obstacle than opportunity. Young lawyer Elizabeth Travis (Kristen Stewart) is forced to drive four hours each way to teach a night school class because she misread the name of the town when she signed up. Her bosses won't help her get out of the gig because they think it's funny. For businesswoman Gina (Michelle Williams), the remote, bucolic woods allow for a quiet camping trip and even a cheap place to build a country home, but no escape from the tensions of a badly fraying family life. 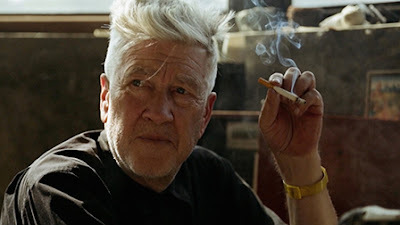 Laura (Laura Dern), the first protagonist in a film divided into three separate though slightly overlapping stories, interacts less directly with the sprawling Montana landscape than with the men who inhabit it and who also comprise most of her work and social circles. Her client, Will Fuller (Jared Harris), recently suffered a head injury in a workplace accident, and refuses to believe her when she informs him he has exhausted all legal recourse. Only the identical words from a male lawyer convince Fuller his case is lost, prompting him to take justice into his own hands in the film's sole “action” sequence in which Laura act bravely, patiently and sensibly, only to be all but completely ignored by the men who commiserate after the resolution of the crisis. In the second story, Gina and husband Ryan (James Le Gros) bicker on a camping trip while their petulant teenage daughter (Sara Rodier) shuts them both out. The about-to-go-nuclear family stops to visit an older acquaintance (Rene Auberjonois) to ask him if they can purchase a pile of sandstone on his property. He has also suffered a recent head injury that leaves him confused, and the young “power” couple briefly struggles with ethical concerns over negotiating a deal with him. Very briefly. He wasn't doing anything with it anyway, and there's just so much unused Montana space waiting to be developed. The final story, widely and properly reviewed as the film's strongest, witnesses the aforementioned Elizabeth griping about her awful teaching job out in the sticks to one of her students, a young rancher (Lily Gladstone) who just wandered into the classroom on a whim. The rancher swiftly becomes enamored of the frazzled, frumpily-dressed Elizabeth, and seeks to impress her by offering her a ride through town on her horse. Screenwriter/director Reichardt adapted the film from several short stories by Montana-raised author Maile Meloy. According to Meloy, Reichardt stuck fairly closely to the original material, though with the significant change of turning the male rancher from her story “Travis, B.” into a young woman. I am not familiar with Meloy's work, but that final decision by Reichardt yields a true breakout performance by Lily Gladstone who shines both in her scenes alone, completing the grueling drudge work on the ranch with a perky corgi tagging along behind her, and especially as she rides through town with her new love clinging to the saddle behind her, her serene triumphant smile crowned by a nimbus of light from the streetlamps in the background. Dern, Williams, and Stewart are sensational as well in what I thought was the best-acted film of 2016. And even in a small role, Rene Auberjonois shouldn't be overlooked either, but then nobody could overlook one of the most magnificent, expressive faces in the last half century of American cinema and television. The film is presented in its original 1.85:1 aspect ratio. 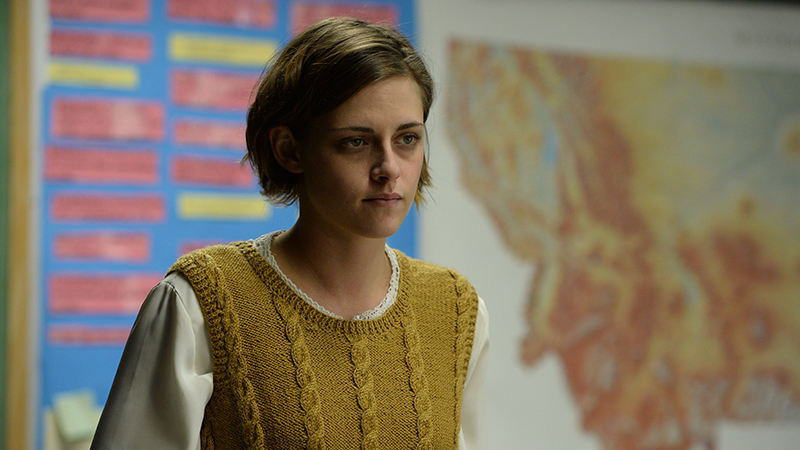 Shot on 16 mm, “Certain Women” has a grainy, sturdy look that has been well-preserved in this 1080p transfer. Image detail is sharp throughout. It's as strong as you'd expect from a recent film. The DTS-HD 5.1 Master Audio is crisp and rich, highlighting the details of a fairly quiet film in which seemingly “minor” sound elements are still quite important. All dialogue is clearly mixed and the audio quality is consistent throughout. Optional English subtitles support the English audio. 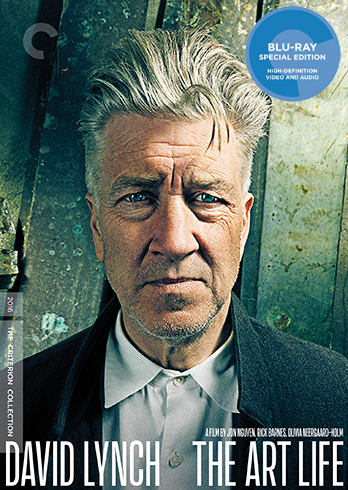 Criterion has only included a few short interviews as supplemental features on this Blu-ray release, all of which were recorded in early 2017 for the Criterion Collection. The slim fold-out insert booklet features an essay by film critic Ella Taylor. Fans who felt Reichardt's previous film, “Night Moves” (2013), was her first misstep (and I was one) can relax. The director of “Old Joy” (2006), “Wendy and Lucy” (2008), and “Meek's Cutoff” (2010) is still one of the greatest contemporary American filmmakers, and “Certain Women” confirms she remains at her peak.